Planning is essential as a business owner, especially when you are working from home. Working from home brings you freedom, and that can be easy to abuse. We want to make sure that you are prepared by teaching you the fundamentals of planning, picking the perfect planner for you, and how to keep utilizing your planner over time. Let’s start with the basics: why do people who work from home need a planner? The truth of the matter is simple: people are not that great at remembering things. Your brain isn’t fantastic at remembering every minute details of your schedule, and you shouldn’t make it try to do so. Instead, you need to write things down. Your life working from home depends on you. This means getting any business tasks you need to get done, completed promptly. Writing things down helps you understand the weight of your time commitment, and it enables you to schedule the right amount of time out for each task. Are You Spending Time The Right Way? Detailed planning helps you evaluate the time you spend on specific tasks. If you are meticulous in writing down your daily schedule, you can begin to see where time could have been better utilized which will make you more productive in the long run. You always want to become better at managing time, and a planner is a great tool that allows you to analyze what you are doing daily. Depth: How deep do you want to be able to go with your planner? Do you want to plan every Month, full weeks, just 5 day work weeks, days, hours, or down to the minute of every day? Pick a planner based on your needs. Mask sure it has the right balance for you. Collaboration: If you work with a team, you may also want to consider how easy it is to collaborate with others. If you know you will be planning as a team effort consistently, you want to pick a planner that can help you accomplish this. Don’t try to force a planner not set up from the start to do something it’s not designed for. Color Scheme: Some people like colorful planners, some people don’t. Color has proven to speed up scanning when looking for specific details. However, if you don’t like the way a planner looks, you might not use it. So pick wisely. Price: Some planners are more expensive than others. Pick a planner that matches the price you are willing to pay for it. Sometimes that extra feature is worth the extra price. Don’t skimp on a few bucks here. Time saved (or remembered) is much more important than that extra Starbucks trip. Ease Of Use: Can you use it on the go? Are there too many unnecessary pieces and parts with the planner? Is it what you need, when you need it? Think about this before you commit to using a planner. You can track so much, but you don’t want to waste space and time monitoring things you don’t care about. If you are working by yourself or you like having a place to write down your tasks, you may want to go for a physical planner. Here are some pretty popular physical planner options. When it comes to picking a physical planner you want to think profoundly about the depth of the planner, the color scheme, the price, and the ease of use. Consider the quality of the paper, and any extra features the planners might have. Some planners even have non-dated and dated options which are something to consider if you start your planning journey at a random time during the year. At-A-Glance planners are great if you are on a budget. They have some pretty simple, yet great planners for reasonable prices. Some of the planners they carry are decorative, however, most of them are neutral. Day-Timer is similar enough to At-A-Glance, yet they focus most on creating daily planners for their audience. Daily planners will always be more expensive because they are thicker planners. Day-Timer planners are refillable and have a decent price tag. Day Designer is another daily planner, but it focuses much more on the color scheme and offers some beautiful design options. They can get somewhat pricey with their flagship yearly planner coming in at around $59 at full price, but you get what you pay for. Erin Condren has quickly become one of the biggest physical planner players. They are unique because of their focus on design and creating removable planner covers. This allows you to switch up your design throughout the year. They also focus on very colorful designs which might not be right for everyone. 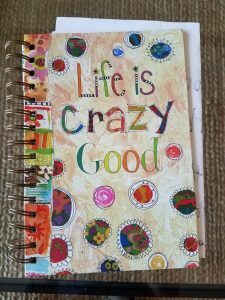 Customization is also a massive part of Erin Condren’s appeal as you can get your name printed on all of their planner covers or make your own. Their removable cover options start at around $55 per planner, while their hardbound planner options start at approximately $25. If you don’t want to go the traditional route for your planning needs, there are a lot of resources for creating a bullet journal. The bullet journal trend has picked up recently because you organize everything. You can create layouts that truly work for you and your needs as a planner. This option might not work best for new planners, though, because it takes a lot of discipline to create a bullet journal to fit your exact needs. Some companies have started to offer bullet journal-esque products that combine the customization of a bullet journal with the appeal of a premade planner. Obviously, though, these items are premade so they may not be as appealing as starting your bullet journal. If you are working with a team, you may want to consider getting your team set up on a site to do all of your planning. There are many options to choose from, but here are four of the most common digital planners/project management systems. Google Calendar can be an excellent solution for your company, especially if you are already paying for G Suite as your company’s email provider of choice. It’s not as easy to use as other project management applications, but overall, it gets the job done. Especially if you are not planning anything too robust. Plus, you likely already have access to it even if you don’t use a G Suite account. Asana is a great project management system. It has a pretty average cost. If you have a team that’s less than 15 people, you can try it before you buy it as they have a free forever model for groups that small. Once you are ready to get Asana Premium, it’s $9.99 per user/month, and they also have an Enterprise plan that you can inquire about for more tools. Trello is more of a card based, visual project management system for your team. If you have a lot of visual thinkers on your staff, Trello would work out perfectly for you. Trello also has a free forever plan that has limited features. If you want your Trello to integrate with more stuff, though, you will pay $9.99 per user/month. Furthermore, you can get more security and onboarding help with their Enterprise plan which starts at $20.83 per user/month. Basecamp is another great option if you have a growing team, and you don’t want to spend a lot of money, but you like all the great features of other project management sites. Basecamp allows you to pay a flat fee of $99 per month and then you can add as many users and utilize all the features. As your team begins to grow, this project management tool, if you like the layout, might be a great place to turn to for your organization. With so many calendar options out there, you might be thinking about how to choose the perfect one. It takes some trial and error to find the perfect planner. Seek out research on the planners you are thinking about. See what other people who use the planners think. If you can test out the planner before you buy it, do it! Reach out to friends who use the planners you are thinking about, and see if you can get more information on how they use the planners. Picking a planner, while it seems like a small task, can make a significant impact on your productivity. Planners are there to help you stay productive, so you want to pick one that you will actually use long term. It’s okay to take your time to choose the perfect one, just don’t procrastinate for too long! If you have never used a planner before, starting now can seem like a daunting task. Here are some tips on how to integrate your planner into your lifestyle. First, make sure that you plan your day every night before you go to bed. Utilize your planner to make sure that you write down everything you need to get done the next day, so you don’t forget. This will get you in the habit of using your planner daily and using it as your go-to place for what’s going on in your life. If you use a digital site to plan your day, make sure that it’s the first thing you see every time you open up the internet. Go to the settings of your web browser and make sure you add your project management site as your homepage. Some browsers allow you to have multiple home pages pop up. Out of sight, out of mind is a real thing. Don’t hide your planner away or stow it in a drawer. Keep it on your desk. This way you have to see it every day when you get your work done. If you have your planner looking back at you as you are working, the planner will eventually guilt you into using it more frequently. Don’t make a big deal out of planning your day. Don’t color code your planner or spend a ton of time decorating it you don’t want. Keep it simple. If you spend a ton of time decorating your planner and making it perfect, writing in your planner could become a source of stress for you. Especially if you are new to planning. Keep it simple until you form the habit, then ramp it up by adding your own personal touches. Planning for success is vital when you are working from home. You have to be productive no matter if you are working for yourself or for a company who hired you. Getting a planner will allow you to write down important tasks, to help you remember. Over time, a planner will also allow you to evaluate what you spend your time on most. Planners come in all shapes and sizes to fit your lifestyle, so you go pick up one today.